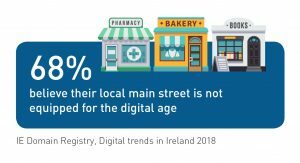 While Irish consumers continue to spend into Christmas and the New Year, just 30%, or 3 in 10 Irish SMEs with websites, can take sales orders online, according to our SME Digital Health Index 2018 research. Our CEO David Curtin has warned Irish businesses that they will lose their customers to their competitors who are offering the choice and convenience of online shopping. Irish consumers are spending vast sums of money online, during the festive season and throughout the year. E-commerce is worth €12.3 billion to the Irish economy. 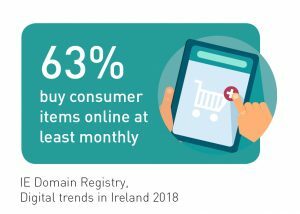 * According to our Digital trends in Ireland 2018 research, conducted among 1,000 consumers, almost two-thirds (63%) buy consumer items (like clothes and electronics) online at least monthly. Almost half (49%) order food online at least monthly. Consumers are digitally engaged, too. 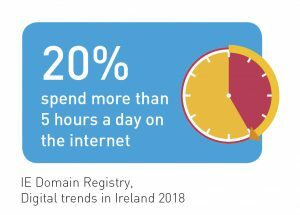 Our research shows that as many as 20% of Irish consumers spend more than 5 hours a day online; consumer households in the survey have an average of 4 internet-enabled devices. Despite this booming e-commerce market and widespread digital engagement, few Irish small businesses have any ability to transact online or process sales orders via their website. Consumers sense this disconnect. 68% believe their local high street is not equipped for the digital age. When asked why, 40% said that their local shops aren’t online, while 22% said that booking appointments or reservations isn’t a priority for their local community. This omni-channel approach, which allows consumers to engage online and shop in-store, with a seamless transition between the two, is now enabling Irish SMEs to compete with bigger offshore retailers. “Online spending over Black Friday, Christmas and the New Year season has been rising at an astronomical rate. Overall e-commerce spending is rising at a rate ten times that of traditional face-to-face shopping*. 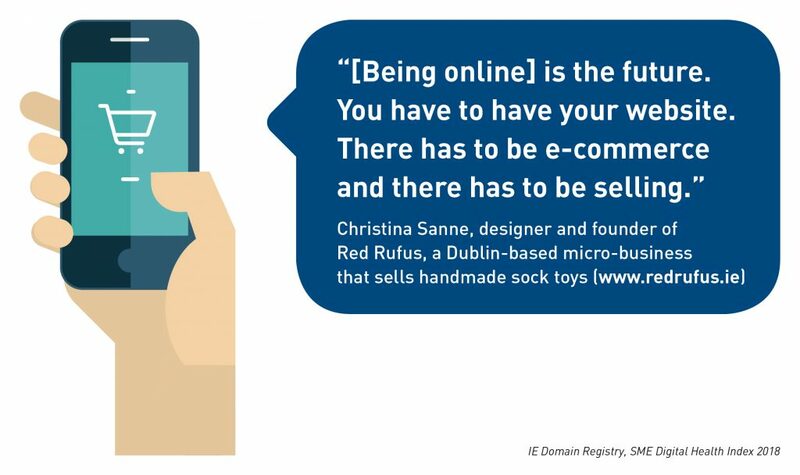 Despite this, and the billions of euros Irish consumers are spending online, only 3 in 10 Irish SMEs can take sales orders online. 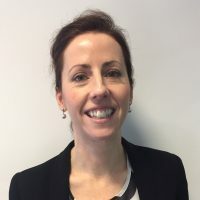 “There is a clear demand among Irish consumers for Irish suppliers, but the means to link the two online, for the most part, aren’t there. Instead, consumers are looking elsewhere to the retailers that can provide them with the online convenience and choice they want, and that’s one reason why the majority of our e-commerce spend goes abroad. “We live in a completely digitised world. Consumers now want to effortlessly switch from physical shopfront to mobile to desktop, in the countryside and the city. 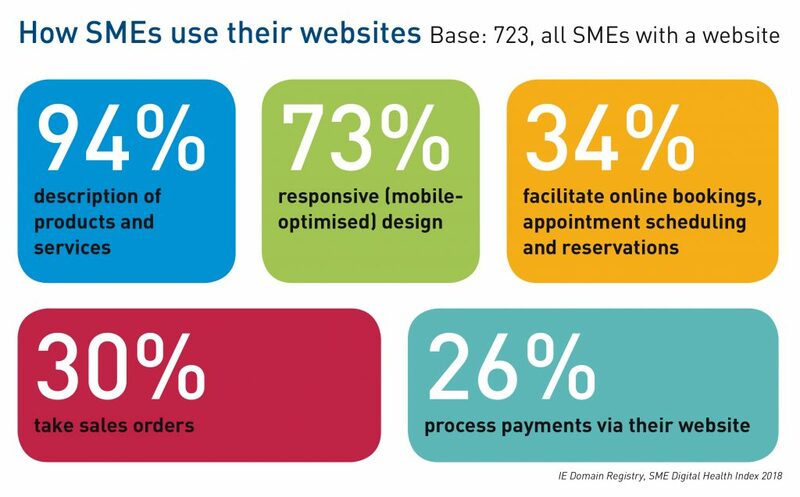 A business website without some kind of e-commerce service is like a sales rep without an order book or a mobile phone: to go without is to miss out on revenue, new customers and access to new markets.